Schools are facing a difficult transition to the Common Core Standards. 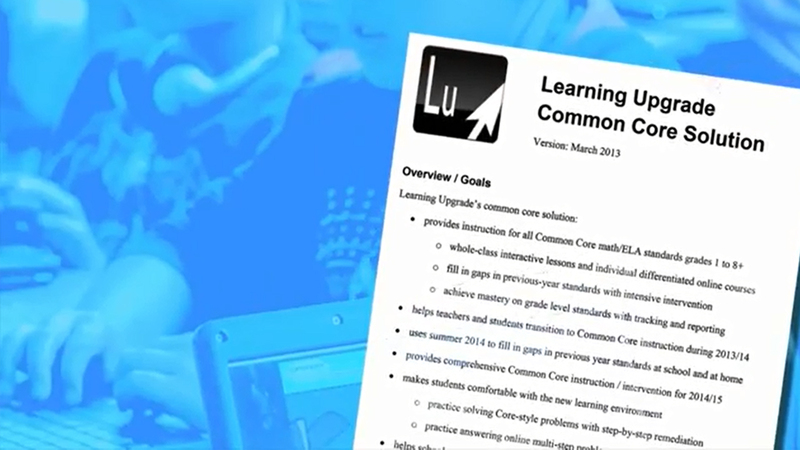 Our Common Core Solution (click for PDF) helps every student master the standards and succeed on the new computer-based tests. Schools with a license for our courses automatically have access to all the new courses as they are released. You guys are AWESOME!!! . You have made a huge difference in my son’s education learning with math and English. My son is autistic high functioning and was struggling with math and English and hated to learn. He loves Algebra Upgrade, I don’t even need to ask him to do it. He just does and is proud whenever he gets a gold medal. ← iPad Winner! Thanks To All For Visiting Us At NCTM Denver!